Historic mountain runway upholds the long American tradition of temporary racecourses on military runways, and third and fourth-gear speeds mean big performance numbers. LONE PINE, CALIFORNIA (March 27, 2018) – Time for prep is almost up: the 48th-annual Lone Pine Time Trials (LPTT) is just two months away. Race days are on May 19 and 20, with on-site registration opening on May 18. Online registration is already up and running. Following recession-era hardships, the LPTT has enjoyed resurgent popularity. Racer attendance has increased in each of the past four years, with a nearly 40% increase in drivers competing from 2016 to ’17 (up to 106). Brand new competitor entries are already stacking up for the 2018 event. Local interest in the LPTT in Ridgecrest and Bishop has also grown, with regular support for the LPTT also being provided by the Owens Valley Cruisers Car Club. Because the classic prewar Manzanar Airport’s runways are fixed, novel variations of turn architecture isn’t the point at the LPTT: the track is a long and fast high-speed course open to any vehicle adhering to basic track-prep standards (rules available at LonePineTimeTrials.com). Combined with the stunning location, this legendary one-off race has been able to run uninterrupted since 1970. The other factor that has kept this race going for decades is your help: the volunteer cleanup/party weekend is on May 5-6. Adventures at the 2017 cleanup rivalled the amount of work needed, as seasonal rains had spurred weed growth on the runway. Friday, May 18 is welcome and registration day. The welcome keg is being provided by Jake’s Saloon in Lone Pine (where they serve beer, beer and beer). Event headquarters and pre-race festivities will be centered at the familiar Dow Villa Hotel in Lone Pine. 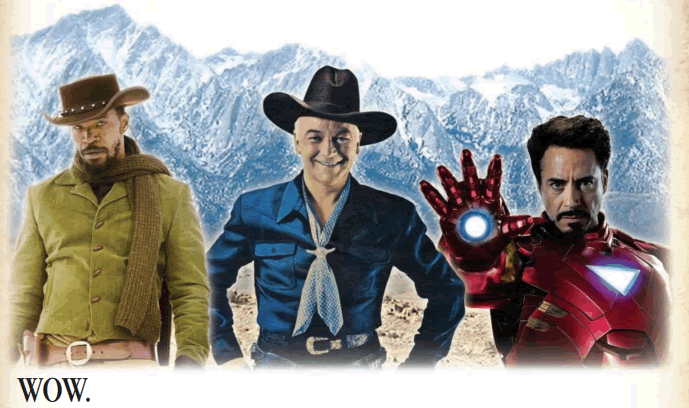 Saturday’s award dinner will be held at the Lone Pine Steakhouse. Vendor support at the racecourse will be provided by the stalwart Perez Quality Tires out of Bishop. Perez can be reached through Fakebook for pre-event inquiries. Food concessions at the track will be available from Big Pine’s very own Billy Bob’s Grill. The LPTT’s 2017 donation to the LA Braille Institute Youth Program totalled $1250; $1000 from proceeds of the 2017 race, and $250 from the Owens Valley Cruisers. If you’re not ready, get that way: road racers, canyon carvers, SCCA and short-course racers, race-only stock cars and all tech-worthy competitors from Nevada, Utah and Colorado will be joining local fast guys and racers from San Diego, Sacramento and the Bay Area on May 19 and 20 at Manzanar Airport. 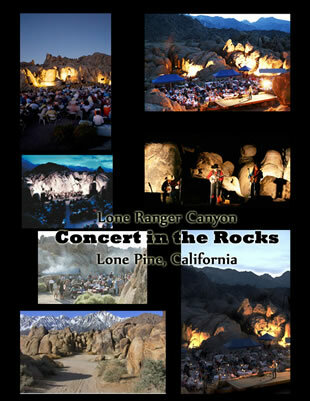 Information about the LPTT and race results can be found online at LonePineTimeTrials.com. Visit “Manzanar Time Trials” on Fakebook for cleanup weekend info, as well as event updates and rules. 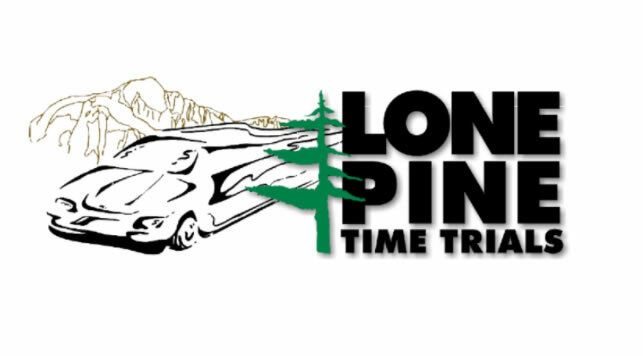 Go to “Lone Pine time Trials” at MotorsportReg.com for registration, and post your pictures to “#LonePineTimeTrials” on Instagram. Track, drone and competition video is available on YouTube and Flickr courtesy of shooters like Omar Ramos. Anyone with photos from the 2017 race, please email them to Event Chair Bret Norgaard. The Lone Pine Time Trails has been held on historic Manzanar Airport’s X-shaped runways since 1970. Competitors from around the west have competed in NASA, Solo, SCCA, IMSA, NASCAR, private, club, hillclimb, time-attack, drift and vintage-classed race vehicles, and a comprehensive rules list ensures these many racing disciplines are able to partake in this unique high-speed competition. The National Auto Sport Association sanctions the event. 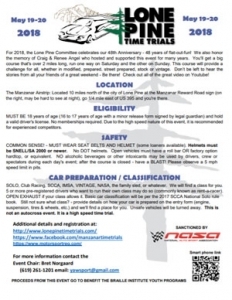 More information is available at LonePineTimeTrials.com, MotorsportReg.com, and at “LonePineTimeTrials” on Instagram and “Manzanar Time Trials” on Fakebook. Contact event chair Bret Norgaard (chief designer at Yawsport) at Call (619)261-1201 or yawsport@gmail.com.